Adam Scovell Can’t See The Trees For The Forest In The latest Beautiful Exhibition in The Comma Project ! 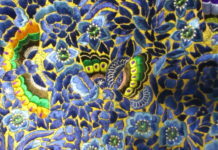 specifically the butterflies found in the New Ferry Butterfly Park on the Wirral. Taking the natural affinity between nature and art into account, the project is raising awareness as well as encouraging interest in art. 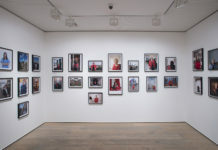 This instantly dispels all notions of the typical contemporary art project and there isn’t even the vaguest sense of snobbery or elitism involved. This instantly lends the shop space which the project has taken over, refreshing and friendly, offering local companionship on a level rarely seen these days, especially in art. 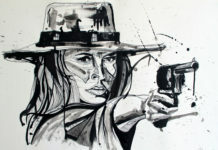 Last week saw their monthly art space dedicated to the intricate artwork of Julie Dodd. 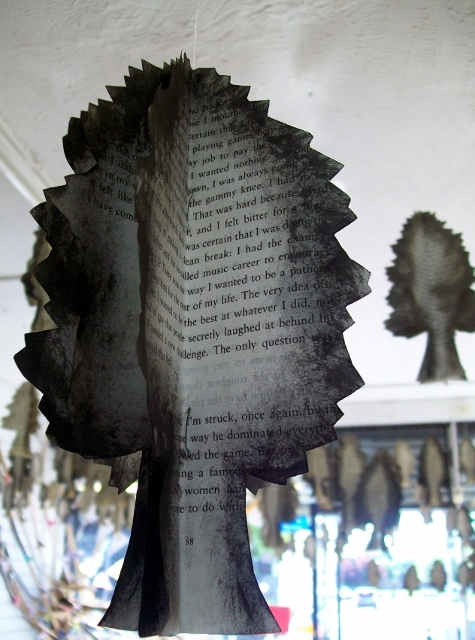 Dodd works with books to create interesting and innovative sculptures that cry out an environmental message while also being quite possibly the most beautiful example of recycling available. Her work for the Comma project, Can’t See The Trees For The Forest, is a plea to our country to plant more of the indigenous trees like the Oak, the Birch and the Scots Pine, rather than simply redesigning our landscapes with the easy alternative; The Spruce. 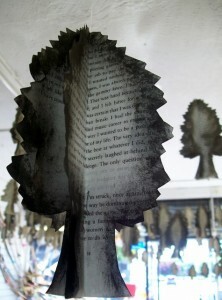 With help from the community, Dodd created paper trees produced from old books and papers. 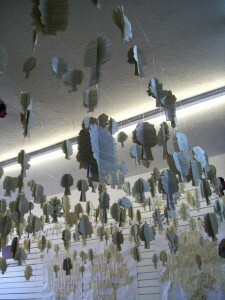 These were hung in the space, creating a hanging forest of words and pictures. Throughout the night, these trees, which were shaped in the indigenous species of our country, were gradually replaced row by row with the sharp and jagged spruce. The sad truth that this is actually what’s happening gradually sank into this viewer and made the piece, though charming in nature, distinctly saddening, especially with the environmental impacts being potentially disastrous to the park mere minutes away. However the skill and thought that clearly went into the piece was marvellous and Dodd is clearly an artist to keep an eye on. 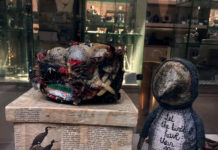 The Comma Project is a fine mix of art and ecology, mirroring the recent efforts of The Bluecoat’s Galapagos exhibit but on a smaller and more personal level. Perhaps it’s the genuine affection for the work that the project leaders exhibit that make it such a pleasant experience but it’s something both addictive and thought provoking. A quiet and unassuming project that invites everyone to be involved, local councils should be craving projects such as this. 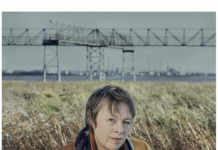 Dodd’s work is perfectly suited to the ethos of the space and next month’s art commission should something that both art fans and environmentalists should be looking forward to. Next articleAndy Johnson Sows Seeds In The Name Of Art!